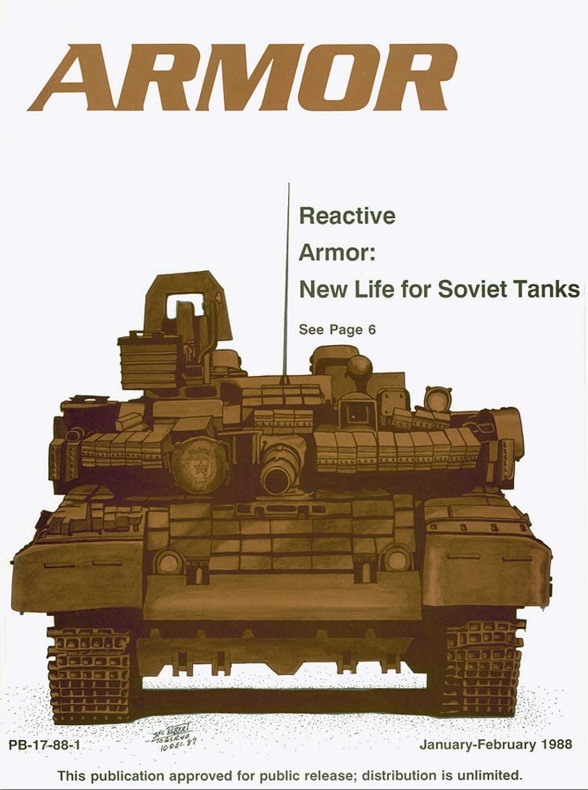 You are known for your interest in Soviet/Russian armor, having authored numerous articles on the topic for Armor magazine. What captured your imagination about these vehicles? I’ve been heavily interested in tanks and armored vehicles since I was six years old, and I knew that being a “real-life” tanker was my focus and my goal. Sometime in high school, my interest really focused in on the “bad guys.” Soviet tanks became a bit of an obsession with me and I spent virtually all my free time studying the subject. The reason for the obsession is probably based on the fact that they were (in those days), the bad guys…so, I think it was really about Knowing Your Enemy. 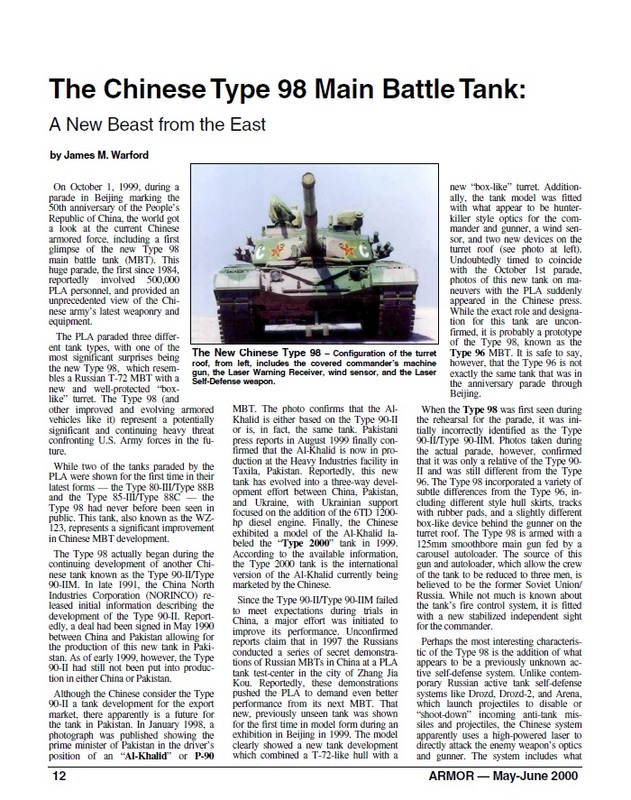 As the years past, my interest only grew into what it became while I was a tanker in the Army (facing those very same Soviet tanks in Germany), and into the very serious hobby it is today. 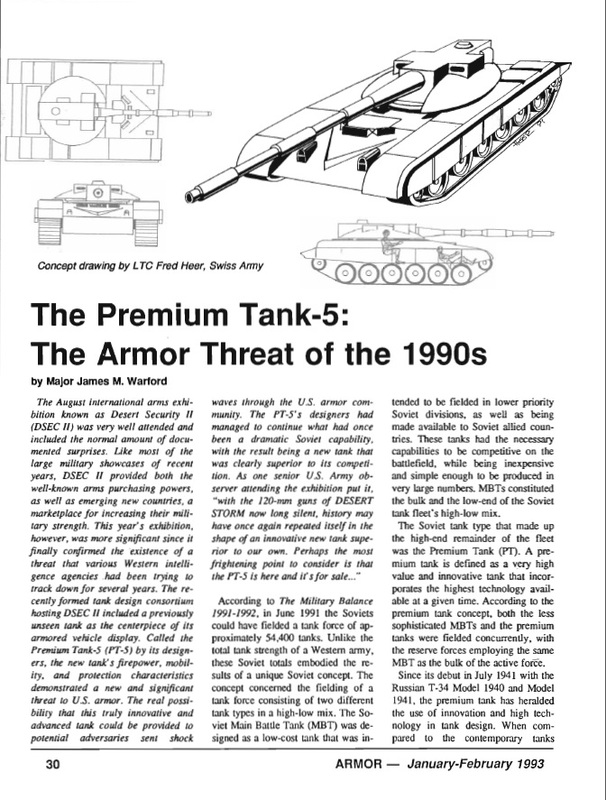 Looking back, how accurate were NATO assessments of Soviet tank technology and armored force capabilities during the cold war? You’ve written several articles over the years on the T-64. Despite having been introduced in the late 1960’s, this vehicle is seeing combat for the first time in the current crisis in Ukraine. What, if anything, has the current fighting revealed to analysts regarding the capabilities of the T-64? The T-64 has always been my favorite tank…and still is…that said, the fighting in Ukraine has highlighted its vulnerabilities to the world. The shortcomings that were so proven regarding the design of the T-72 (and visible on various battlefields around the world), are now showing themselves as knocked-out and destroyed T-64s in Ukraine. Any comprehensive analysis of the T-64 should include the tank’s heydays (which include it being the best tank in the world for a short period of time back in the day), as well as these new “lowdays” for the tank, as it takes a beating in Ukraine. The current fighting has brought home several important lessons, ranging from the true vulnerability of the ammo (and the tank itself), stored in the hull alongside the tank driver, to the catastrophic results of an armor penetration. You have also written on Chinese armor. For most of the cold war China relied on copies of Soviet designs. However, over the past 30 years they have branched out with designs of their own. Is it fair to say that China now belongs in the top tier of countries that design and build their own MBTs? 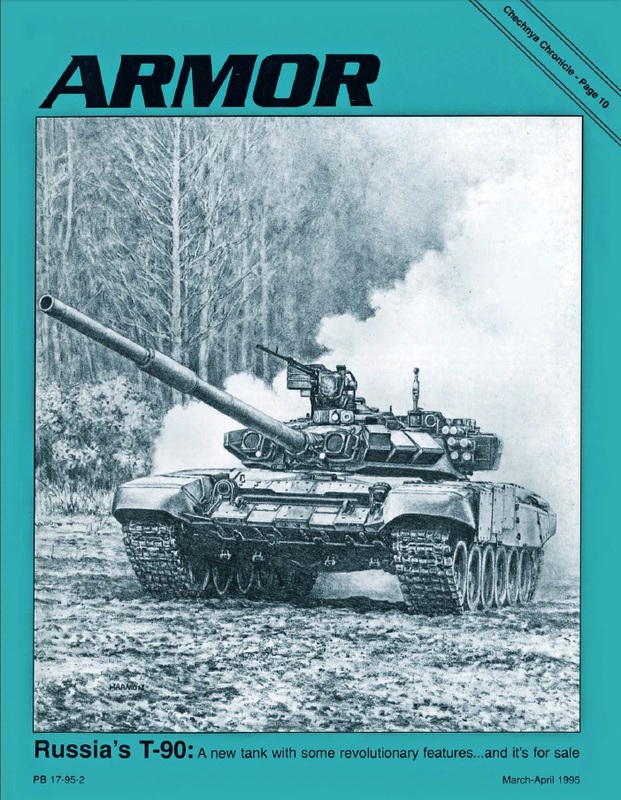 In various Middle Eastern conflicts (Arab-Israeli conflict, Gulf war) Soviet armor has been used extensively, often with poor results. 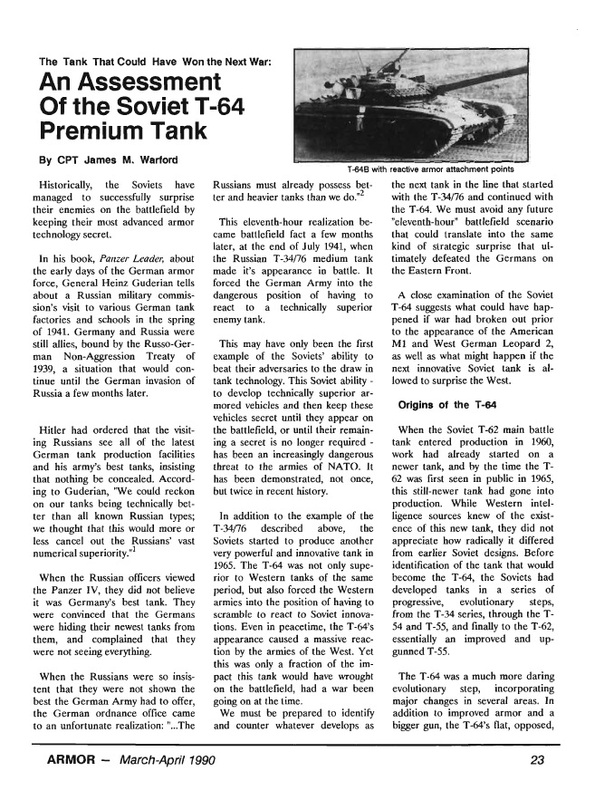 Did these conflicts illustrate the true combat potential of Soviet tank designs or were there too many mitigating factors to draw any solid conclusions about these vehicles effectiveness? On a similar note, the T-80 gained a rather poor reputation during the fighting in Chechnya in the mid 90’s. What are your thoughts on this vehicle? When the T-80B first appeared as the M1983/1 in the Southern armies of the GSFG in East Germany, it was a huge deal. We had been waiting for something called the “T-80” for some time. It was a very good tank and still is in many ways. It’s main problem is that it suffers from the same design flaws as the whole T-64, T-72, and T-80 generation…the failure to separate main gun ammo from crew. Back in the day, our challenge was getting a penetration with the ammo we had…that has since gone away with the 120mm main gun. So, if you get a penetration, in most cases (sometimes it seems like in the huge majority of cases), the crew will be killed as a minimum…or the turret will likely be blown off the hull. Many of these destructions are catastrophic… Fighting in Chechnya clearly included poor tactics by all sides and the use of tanks in built-up areas with minimal or no infantry support, etc. Recently there has been a good bit of media coverage on the new Russian “Armata.” What do we know so far about this vehicle and how radical of a departure will it be from existing Russian tank design? Armata…is an exciting program for many reasons…for me, it will finally (well, if they actually show us the thing in May), show the culmination of a Soviet/Russian effort that is decades old, to produce a truly innovative and superior tank. This is something they have been trying to do since the development of the T-64. The effort has been massive, involving all their tank design bureaus and factories (often competing against one another for contracts and recognition). Armata will represent the real-world reality of the various “boogey men” from the Cold War days, when each threat forecast (and budget request), included vague information about a feared 152mm-armed Soviet tank. We’ve learned over the years that a few of those 152mm-armed tanks actually existed in various forms, some being more mature than others. The Armata is the updated (and Soviet budget restrained), result of all that effort over all those years. You had a chance to visit the Tank museum at Kubinka outside of Moscow. What were your impressions? Visiting Russia had always been on my bucket-list of things to do. In 2012, I was finally able to pull it off. The military-focused trip was all about visiting those locations and museums you’d expect such a trip to include. The highlight of the trip was my day at Kubinka. Briefly, Kubinka is the home of a formally secret armored vehicle testing facility located approximately 60 kms west of Moscow. Over the years, the facility had been used for the testing and evaluation of both new armored vehicle designs intended for the Soviet/Russian Army, as well as captured (and obtained) foreign trophies dating back to World War II. Since being revealed to the public in the late 1980s-early 1990s, the interest in the armored vehicle collection maintained at the Russian Scientific Research Institute for Armored Vehicle Technology (NIIBT) at Kubinka, was focused primarily on the amazing assortment of Soviet/Russian vehicles housed there. As more western visitors were allowed to visit and slowly spread the word, it was also confirmed that the vehicle collection includes an impressive collection of foreign armored vehicles. Vehicles ranging from the very impressive T-64 family tree, to the single existing German Maus Heavy Tank from World War II, truly make this THE museum to see before you die. The visit was amazing and too short…I’m planning to return sometime soon. There’s so much to see at this place it’s almost overwhelming…I made time to see the vehicles in each of the seven public hangers and to spend as much time as I could in each. The one “closed” or secret hanger is only open to Russian military personnel and dignitaries. This is the only hanger that has no windows and is partially hidden by trees to obscure the various comings and goings. To date, I’ve only seen a few photos taken from inside that hanger. There is one other hanger (known as “building 9”), which was used in the past to house vehicles that for one reason or another, weren’t ready (or simply no space was available), to be moved into one of the other, more public hangers. Building 9 is located away from the main hangers in the open-air storage yard, and isn’t normally open to the public. In the last few decades, Building 9 has fallen into a serious state of dis-repair and is rarely used for vehicle storage. The open-air storage yard also isn’t normally open to the public. Great article Walter. What do you think was the reasoning behind the Soviet’s insistence on continuing to store ammunition with the crew in their tanks? Was it a practical issue of saving space? Or was it inertia in the fact that “this is how we’ve always done it”? Or – per the stereotype – were the Soviets more inclined to treat their crews as disposable assets which, if the Cold War ever went hot, soldiers’ lives would be cheap anyway? The ammunition carousel is actually very well protected (it is very low in the hull, which makes it unlikely to be hit directly), as far as I’m aware, the big issue is the ammunition kept in the turret. From what I have heard, once that is removed (as happened in the second Chechen conflict), the incidences of ammunition detonation went down a lot. Should also be remembered that separation of ammunition and crew is a fairly new concept. Even the Leopard 2 has an ammunition rack right next to the driver. I’d say the Chechens, because they knew Soviet-era tactics, armor and equipment inside out PLUS being veterans of the conflict in Afghanistan (when some of them served in the Soviet forces and learned from Muj tactics), were very well-placed to deal with poorly-employed Russian armor crewed by poorly-trained conscripts(even in the elite MVD ‘Kantemirov’ Division) in 1997. Like the second phase of the Russo-Finnish Talvisota, once the Soviet/Russian Forces had been pulled back, re-trained and reorganized, they generally did better. That and the insane amounts of suppresive firepower they laid down ahead of their advance. Space-saving and lessons learned during WW2, I suppose- always have ammo for the main gun close to the loader in the turret. Only when you run out there, should you be scampering around looking everywhere else. So much you know, LOL. Since when 4 Guards Tank Division became part of MVD (ministry of internal affairs)? In first chechen war main problem that armed forces was heavily understaffed due to previous budget cuts: most on-paper battalions has had just company strength. Because of that it was difficult to wage proper offensive operations or to provide proper support for armored vehicles. In second war, military structure was reformed and budget increased, which solved this problem.